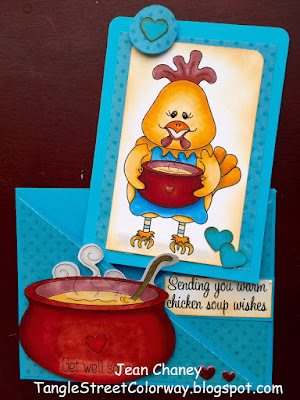 Deedee's Digis: There is Soup for You! Once again Jean has put her expert coloring skills to use! Absolutely amazing!!!! 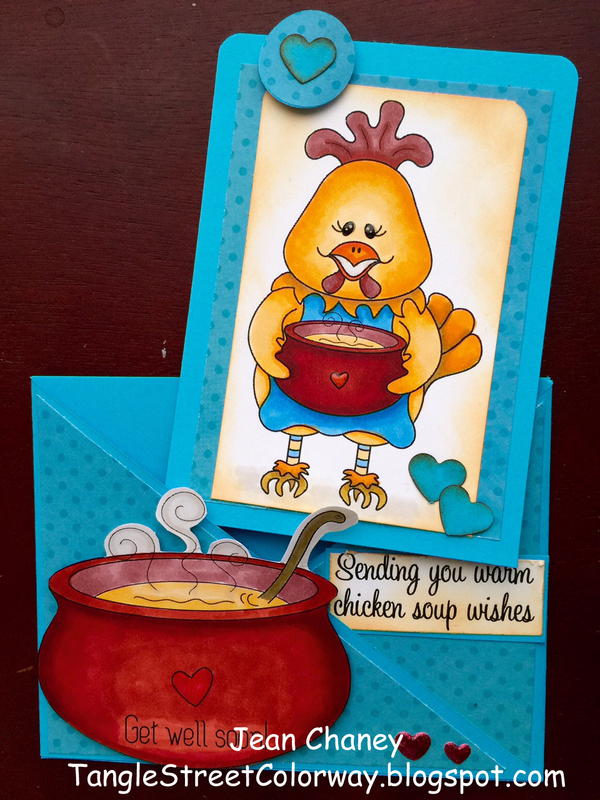 Jean was inspired to get into stamping when "I bought a few Copic markers to color in the digital and stamped images. After coloring in tons of them, I realized I had to start making cards so I would have something to do with them!" Aren't you glad she did? 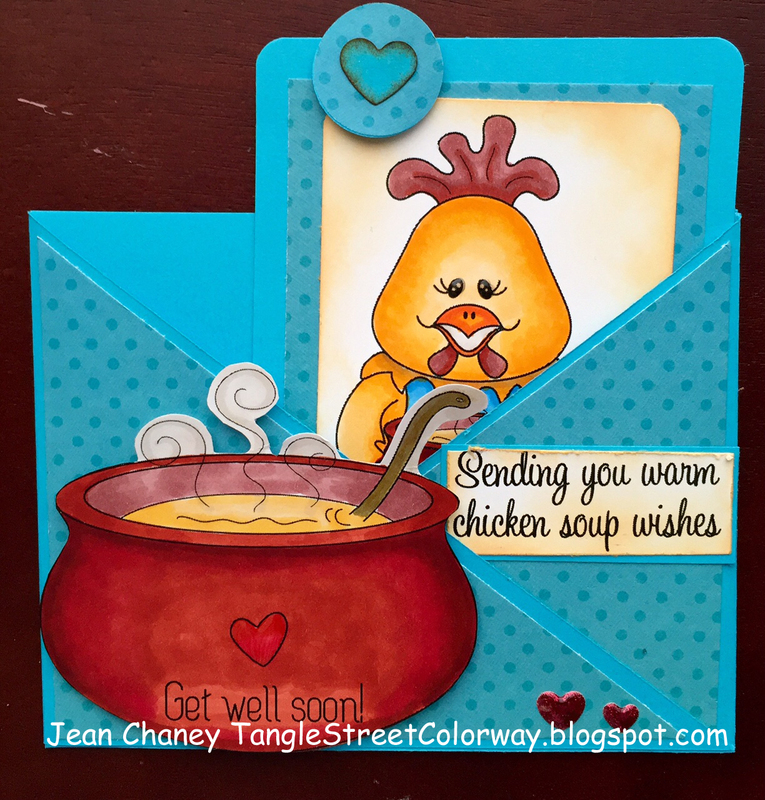 Stop by and visit Jean at her blog: Tangle Street Colorway and leave her some love. But while you are there you will want to visit her other sites: Tangle Street Journals and Tangle Street Studio for Zentangle. Yes. very glad Jean decided to start making cards with her colored images. This one is just so precious. Yesterday it was quite warm and muggy but we put the a/c on and had some nice soup for lunch so this brought a smile to my face this morning thinking warm soup wishes are good any time. Thank you so much, Donna. I think I finally found something to pursue that will keep me learning forever. There's just no end to techniques and new images, like the fantastic ones that Deedee keeps coming up with, to keep me busy and happy!